Ask any North American child who their favourite author is and the likely response will be “Mo Willems”. Children love his funny, appealing characters – the Pigeon, Piggie and Gerald, Knuffle Bunny and Cat the Cat – to name just a few. 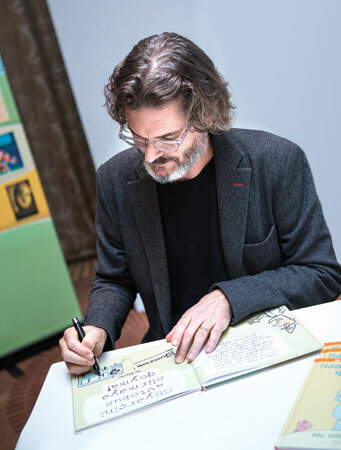 Mo Willems was already famous as a TV writer and animator for children when he decided to try his hand at writing books. His first book, Don’t Let the Pigeon Drive the Bus, was a runaway bestseller and earned him the prestigious Caldecott Honour in 2004 for the “most distinguished American picture book for children”. 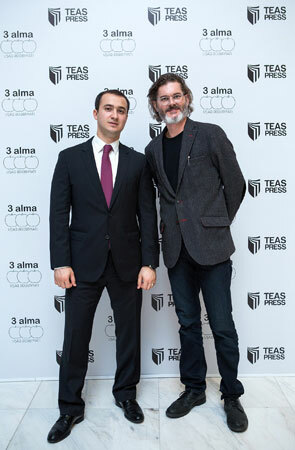 On 13 November, the children’s division of TEAS Press launched their imprint Üç alma (Three Apples) at the Absheron Marriott in Baku. 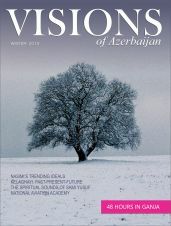 Over 20 books were released in translation in Azerbaijani. Five of those titles were written and illustrated by Mo Willems. And the icing on the cake? Mo Willems was the guest of honour! I have always wanted to come to Baku! Mo told the assembled guests at the launch. This was no exaggeration. Since childhood Mo had been fascinated with the Silk Road. We were happy to give him the grand tour. But first, there was a lot of work to do. Guests at the launch were eager to buy copies of the new books and have them signed by Mo. Photos with the famous author were much sought after as well. The next day Mo taught a Master Class on writing and illustrating for children. He began with a lively reading of several of his books. When the needling Pigeon asks if he can drive the bus (“I’ll tell you what: I’ll just steer...!”) – the children in the audience were adamant – “No!” Mo’s books encourage children to be active participants in reading. He views children more as collaborators than audience and they are quick to respond. Asked about the moral of his stories, Mo just shrugged. His books are not didactic or moralising. All of his animal characters are very, well, human! They are flawed characters who will bug and bug you until they get what they want. They have tantrums. They worry. They are happy and sad. Adults find the books as funny as children. Mo read one of his Piggie and Gerald books – There is a Bird on Your Head! Poor Gerald feels something land on his head. “Yeah,” says Piggie. “There is a bird on your head.” What would a bird want to do on his head? Well, they are lovebirds... who are building a nest. In typical Gerald fashion, the scene becomes overwhelming, until his friend Piggie solves the problem... sort of. 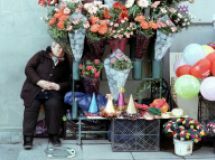 During his week in Azerbaijan Mo found a lot to discover. 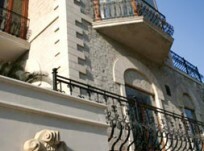 While in Baku he took a tour of the Old City, Fountains Square and the Bulvar. He loved it all. A few times he asked to be left alone for a while so that he could do some sketching. High on his list of must-see places was the Carpet Museum, a subject that has interested him for years. 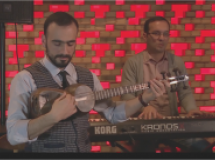 Another event he was pleased to attend was the concert at the Mugham Centre given by famous father-daughter mugham duo Alim and Fargana Qasimov. A visit to Azerbaijan is not complete without a trip to the glorious Caucasus Mountains. At the weekend Mo took a break to tour the scenic route to Qabala. The Qafqaz Riverside Resort is the perfect location to see the sights: a trip up Tufandag in the new cable car; a visit to the ancient Udi community and their restored church; a delicious meal of kebabs, cheeses, bread and salads, washed down by wine in a riverside kabinet. The highlight of the excursion for Mo came on Sunday in a visit to Sheki. The Khan’s Palace is an artist’s dream. Mo was captivated by the artwork and history of this world heritage site. Later he visited the famous caravanserai for chay and sweets. Mo has a huge collection of hats back home in America, so a search for the perfect papaq got under way. Check out the photo! 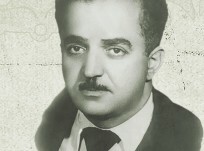 I think you will agree that Mo looks like a real Azerbaijani gentleman in this papaq. We recommended some silk scarves as presents for his wife and daughter. All this shopping worked up an appetite, so we repaired to a local restaurant that specialised in piti, a traditional stew of lamb, chickpeas and chestnuts. Another culinary milestone! The food fun continued on the road trip with visits to the colourful fruit and preserve stalls that line the road from Qabala. Back to Baku loaded up with tasty treats. 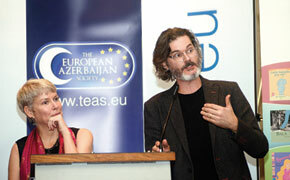 The final event with Mo was held at the European Azerbaijan School in Baku. Mo presented several books and answered questions from the audience. Everyone celebrated with special Pigeon and Piggie and Gerald cupcakes. Then on to a book signing on the main floor. Thank you, Mo! Please come back and visit us again! Mo Willems is the best selling author of dozens of books for children. Three of his books have received a Caldecott Honor, an award given by the American Library Association for the year’s best children’s books. His books have been made into animated shorts and plays. As a children’s writer and animator for Sesame Street television Willems won six Emmy Awards. 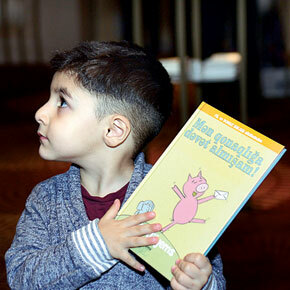 His books have been translated into many languages, the latest of which is Azerbaijani! 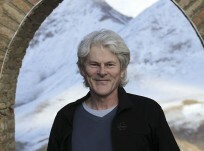 Willems resides in Northampton, Massachusetts with his wife and daughter. 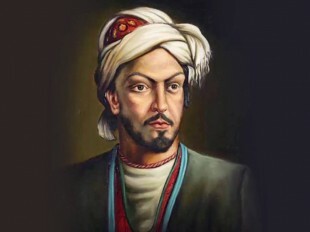 Göydən üç alma düşdü: biri sənin, biri mənim, biri də nağıl söyləyənin. Three apples fell from the sky: one for me, one for you and one for the narrator too. This is one of the sentences that traditionally round off Azerbaijani fairy tales. Something like ‘Once upon a time’, but at the end of the story, rather than the beginning. With an apple for the storyteller as well as the listeners, the three apples make a fitting name for a children’s publisher. And that’s what Üç alma is, the children’s literature imprint of TEAS Press. 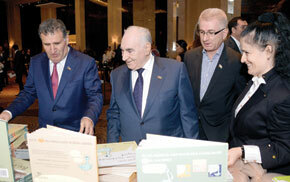 The imprint and 21 new titles in Azerbaijani were launched on 13 November at a reception in the Absheron Marriott Hotel, Baku. Colleen MacDonell, the head of Üç alma, welcomed the assembled politicians, diplomats and journalists to this “monumental and pioneering” event. 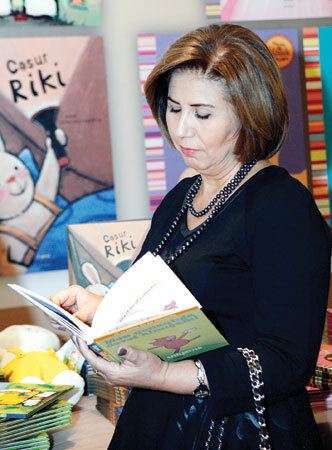 She explained that Üç alma aims to find the best writers for children in the world, and to translate their books into modern, vibrant Azerbaijani. Our goal is to produce books that will entertain and educate children and inspire a love of reading. Tale Heydarov, chairman and founder of The European Azerbaijan Society (TEAS), gave an overview of the society’s work in promoting Azerbaijan abroad. Quoting late President Heydar Aliyev, he said that education is integral to building a prosperous future for the country. Children’s literature plays an important role in the implementation of this sacred duty, he explained. 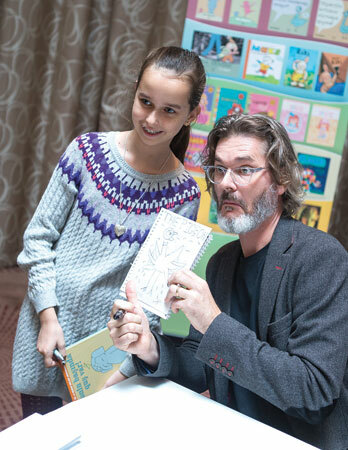 Children’s author Mo Willems had guests drawing his pigeon on their napkins. 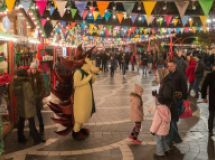 He said that he deliberately makes his characters easy to draw, so that children can break his copyright and draw their own pigeons, piggies and elephants! The interactive session had done the trick and guests were soon snapping up the books. Some dived right in and started reading there and then. The first 21 titles from Üç alma include children’s classics – The Secret Garden, Black Beauty, Anne of Green Gables – and modern workings of popular fairy tales – Sleeping Beauty, Rapunzel and Rumpelstiltskin. Perfectly Poppy makes her debut in Azerbaijan as Sevimli Sevinc, the little girl who gets herself into scrapes. For fans of action stories, Jack Templar is busy fighting monsters. 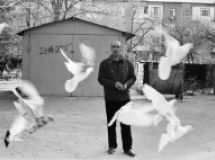 For the full list of titles, see … Forthcoming titles from Üç alma include more Pigeon, Jack Templar and Perfectly Poppy books. Christianne C. Jones’ version of the Little Red Hen will also be introduced to Azerbaijani readers. 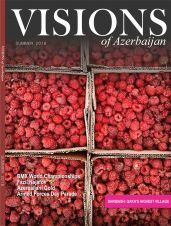 The books are available in the Akadem bookshops in Baku and direct from the Üç alma website – 3alma.com. Don’t forget that each of the titles are a first edition so are of interest to collectors as well as readers. 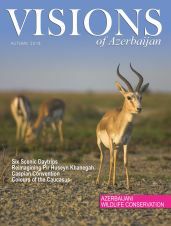 The imprint encourages submissions from Azerbaijanis living in Azerbaijan and abroad. They are looking for work from both new and established authors, illustrators, designers, animators, and other creative people. The instructions for submissions can be found on the website, 3alma.com.